leyrers online pamphlet :: y2007 : m07 : The Better Foleo? 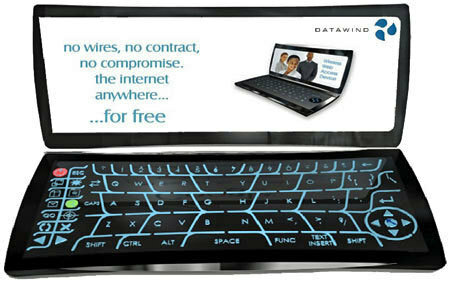 The first generation device is currently for sale in the US and Canada, offering full web access via a 640 pixel wide screen with full QWERTY keyboard. It works via your mobile handset, using a Bluetooth (which means wireless) link-up for connectivity. At least it looks a lot more „geeky” than Palms Foleo.